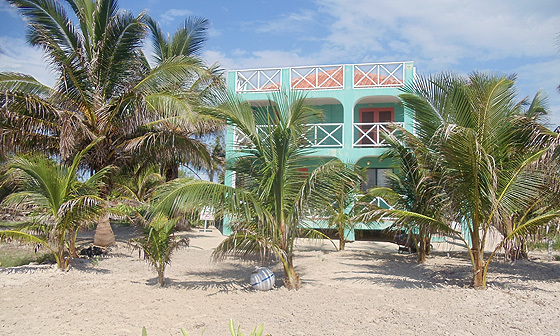 Nirvana San Pedro "Our Belize Vacation" - "Our Belize Vacation"
Imagine yourself overlooking the largest reef in the Western Hemisphere: dolphins, boats, and a variety of other entities coexisiting in perfect harmony. Just a stone's throw from Nirvana San Pedro Rentals, is a full service dive center, where you can literally be diving in less than five minutes. Now imagine yourself, on your budget, with your schedule, enjoying this atmosphere! It doesn't have to be a dream, contact us at Nirvana San Pedro Rentals, and we can help make it a reality! The property contains two fabulous units. An upstairs which has one bedroom with a queen bed and a full bath, plus a sofa bed in the living room. The upstairs can very comfortably sleep two people though it can accommodate four people. The downstairs unit contains two bedrooms with queen beds and a full bath as well as a futon in the living room. It can very comfortably sleep four people though it can accommodate six people. 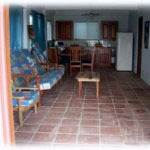 We can rent the entire house or each separate unit. •We have a DVD player and several movies, perfect to pass time you spend indoors. We have two IPOD DOCKS one for each unit. You can see the reef from the house and be diving in minutes. •A fully furnished kitchen, bathroom, bedroom, and living room.